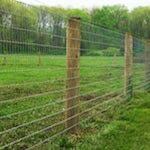 Here at ProFence LLC we are committed to building quality fencing that will last for years with minimal maintenance. Take a look at our promotional video below. 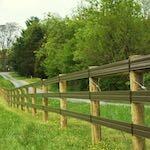 Here we discuss how ProFence became a leading supplier and installer of fencing throughout the Eastern USA. We have been serving farmers, homeowners, and livestock owners with quality fencing for animal containment and safety for over 20 years. 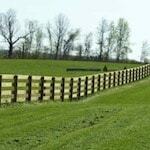 No matter what your fencing goals are, we will build and install it on-time and within budget. Our custom state of the art machinery and equipment for fencing came to be through years of research and development by our team in the field. We compiled all the data from our fence installations and applied it to making our machinery, equipment, and processes less time consuming and more effective. 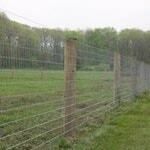 We manufacture and install gates for farms, fields, or ranches. Our selection of tube, mesh, or wooden gates will meet your style requirements and perform at the highest level for years to come. 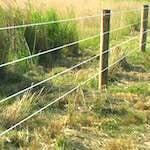 With over 20 years of experience and a background in farming, our team has the expertise to help you determine the best fencing solutions for you. 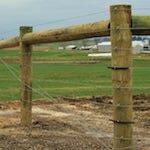 We have built fencing on all sorts of terrain. We feel that no job is too difficult as we have the experience to back it up. From the initial contact to the build, we are with you every step of the way. Our fence experts are standing by with any question you may have.